Connecticut locavores are in for a treat this month! 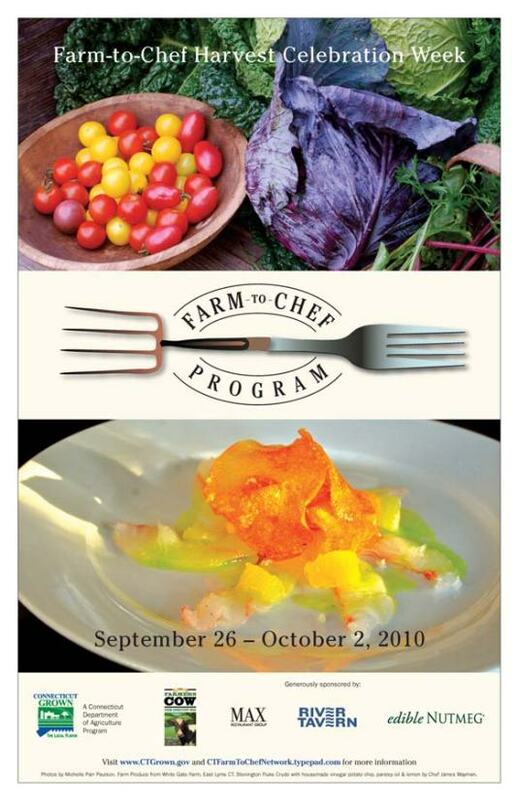 The CT Department of Agriculture’s Farm-to-Chef Harvest Celebration Week is Sept. 26 to Oct. 2. 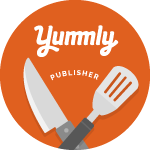 Over 80 chefs are participating in this statewide, week long celebration of locally grown food and wine! 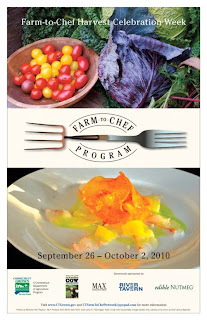 There's even a Farm to Chef Network blog where you can get a list of all the participants, read articles on some of the chefs and farmers participating in the celebration, find recipes, etc. The husband and I plan to attend the event presented by Chef Michael Bick of Something's Fishy Catering in Bethel. Most of the local grown goodness is coming from Holbrook Farm and the wine pairings from DiGrazia Vineyards in Brookfield. Check out his website for all the details. Maybe we'll see you there! I love the efforts to promote the amazing food and thereby the farmers in our state. I hope you'll consider attending an event or two for Harvest Celebration Week. Make it a special night out in support of our local farmers and winemakers!